19:05-19:40 セッション0：An Introduction to TensorFlow 2.0: Updates from the TF Summit? セッション０：An Introduction to TensorFlow 2.0: Updates from the TF Summit? In this talk, Laurence Moroney, AI Advocate at Google will take you through the newest announcements from the TensorFlow team, introducing TensorFlow 2.0 Alpha, and what's available to you as an AI developer in it. There's never been a better time to get into machine learning! 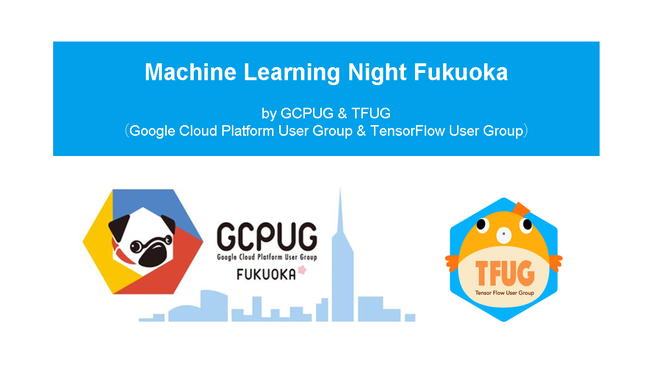 ryosuke_akahoshi published Machine Learning Night Fukuoka by GCPUG & TFUG.